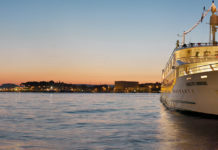 Variety Cruises will launch its new 36-cabin mega yacht, Variety Voyager, in spring 2012, with two new itineraries to the Mediterranean. 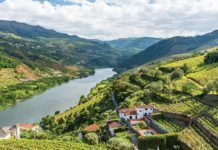 Romantic Rivieras will sail the French and Italian Rivieras from June to September, while Treasures of South Italy and Malta cruises will sail September to October. Each cruise is seven nights with fares from $2,990 pp. Passengers aboard the Romantic Rivieras journey can experience the sights and sounds of the French and Italian Rivieras, along with ports of call on the enchanting islands of Corsica, Sardegna and Elba. Trip highlights include an afternoon in St. Tropez where guests can head up to the 16th century Citadel or stroll the Old Town restaurants, shops and galleries; a tour of the cliff-top medieval town of Corsica; a visit to the Palazzina dei Mulini in Elba—a residence once occupied by Napoleon Bonaparte—and a visit to Monte Carlo, including a drive through Grand Corniche with its stunning views of Monaco and the Old City. Passengers can also choose to participate in an array of optional excursions throughout the trip, including a walking tour of Portofino and a tour of Cinqueterre. The Romantic Rivieras journey sets sail from Nice on July 14, 2012. Meanwhile, passengers aboard the Treasure of South Italy and Malta cruise will get to explore Taormina, Syracuse, Agrigento and Cephalu, as well as stops on the islands of Capri, Malta and Lipari. During the journey, guests can enjoy a walking tour around Capri to the Gardens of Augustus, a visit to Lipari—the largest of the Aeolian Islands—a stop at the Greek theater in Syracuse and a drive through the majestic Valle dei Templi (Valley of Temples). The Treasure of South Italy and Malta departs from Salerno on Sept. 8, 2012. The 223-ft. Variety Voyager is a state-of-the-art mega yacht that will accommodate just 72 passengers in 36 cabins. Inside, cabins and public areas are finished with warm fabrics, rich marbles, axminster carpeting and soft toned wood paneling. 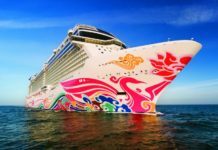 Onboard amenities include an indoor dining room, a bar and lounge area, and a mini spa, complete with a massage room and sauna, hair and beauty care, as well as fitness equipment. Passengers can also enjoy unobstructed views of the ocean and of the ports visited from most areas on the ship. 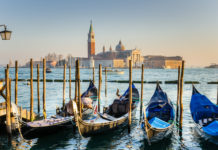 In addition to its two Mediterranean sailings, Variety Voyager will also offer two Arabian Journeys—one from Abu Dhabi and one from Muscat—in fall 2012. For more information, call (800) 319-7776 or visit varietycruises.com.